This month, we update you on our research themes of Heat Transfer and Materials/Fluids undertaken in the AGGAT programme. One of the Research Aims under Materials and Fluids is RA1-3 – Geothermal Fluid Scaling and Corrosion, led by AGGAT team member Dr. Sadiq Zarrouk (University of Auckland). The other theme of Heat Transfer has two Research Aims (RA1-4 under Impact Statement 1 Knowledge Base and RA2-2 under Impact Statement 2 Technology Development). All of these have Critical Steps to be achieved under them. 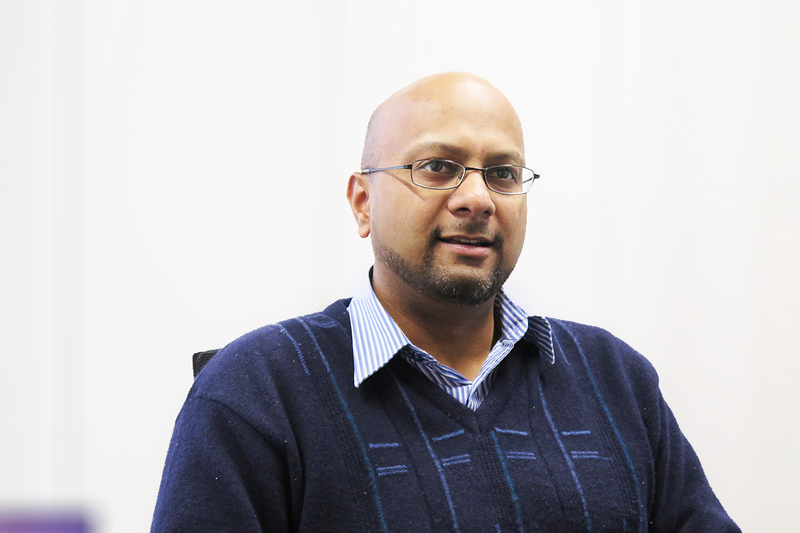 The Research Aim Leader for the Heat Transfer aims is AGGAT team member Professor Mohammed Farid (University of Auckland). University of Auckland Masters of Engineering Students from left: Jansell Jamero and Katrina Dacillo. Two students have joined the Geothermal Fluid Scaling and Corrosion element of the AGGAT programme under this research aim. 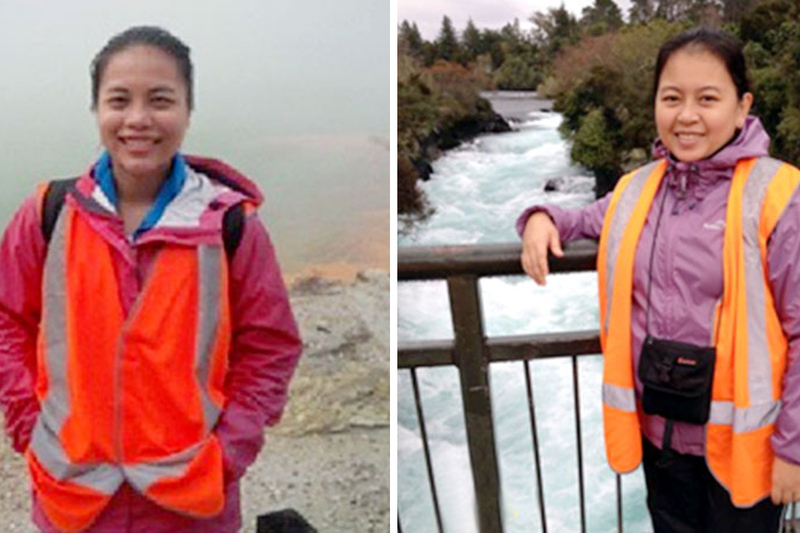 Ms. Jansell L. Jamero and Ms. Katrina B. Dacillo are both pursuing the Master of Engineering programme at the University of Auckland (UoA) under the supervision of Dr. Sadiq Zarrouk of the Department of Engineering Science. The research topic Ms. Jamero will be investigating is scaling mechanisms in a controlled environment using test rigs installed in the Ohaaki geothermal field. Ms. Dacillo, on the other hand, will undertake corrosion research that will investigate different alloys and coated steel samples as suitable materials for corrosive geothermal fluids. Both are employees of Energy Development Corporation (EDC), a globally diversified renewable power company based in the Philippines that is the second largest producer of geothermal energy in the world. Jansell is a graduate of BS Chemical Engineering from the University of the Philippines-Diliman Campus in Quezon City, Philippines. She is a licensed Chemical Engineer who has been a Process Geochemist for the Leyte Geothermal Business Unit (LGBU) since she joined EDC in 2009. Her works focus on scale inhibition studies in silica supersaturated geothermal brine and include geochemical monitoring / modeling works and sidestream tests of inhibition strategies. Katrina, nicknamed Kay, is a graduate of BS Chemistry from the Eastern Visayas State University in Tacloban City, Leyte, Philippines. She is a licensed Chemist who has been working as a Geochemist for LGBU since she joined EDC in 2007. She has active involvement in two major corrosion initiatives in LGBU which has fleetwide applications in EDC low-pH fields. Kay and Jansell are warmly welcomed to the AGGAT team.